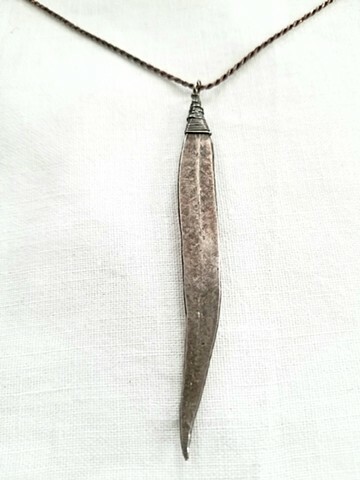 The pendant is made out of silver. The leaf is about 3 in. The chain is 18 in. Both have a darker patina on it.